Whats the red semicircle painted from the corner of the railings above the bridge for? Spot on! That's exactly the reason. In this case it marks the area around the MF/HF TX antenna, where personell should not enter while tramsmitting. Here is CM12 in Kiel from around 1979, I think. Someone might know the exact date. Nice to see the flag being flown amongst the big boys. Is that Zinnia next to her? Well at least the sweepers had a desent flag pole to fly the flag back then , unlike the present situation of a metal pipe .Surely something better could be produced for a ship of State to fly the flag . 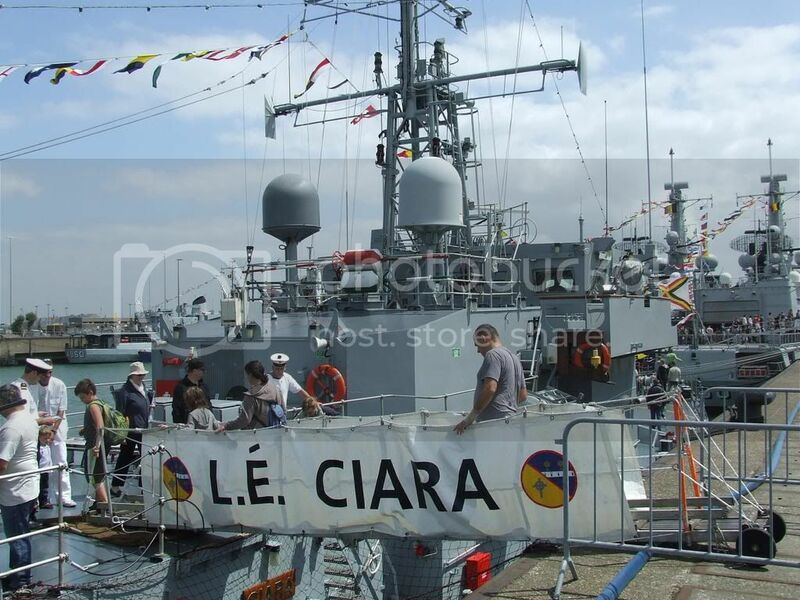 More pics from LÉ Ciara in Zeebrugge, thanks to Willem from www.dutchfleet.net. 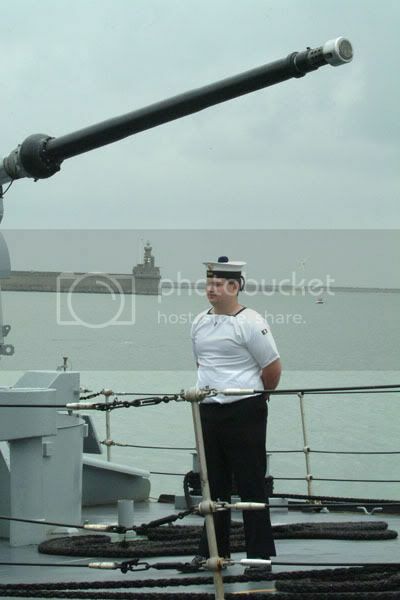 The hi-res pictures (and several other pictures from the ship) can be found at Willem's photo-site (in the album named "Belgian Navy Days Zeebrugge, page 4 and 5). The L.E. 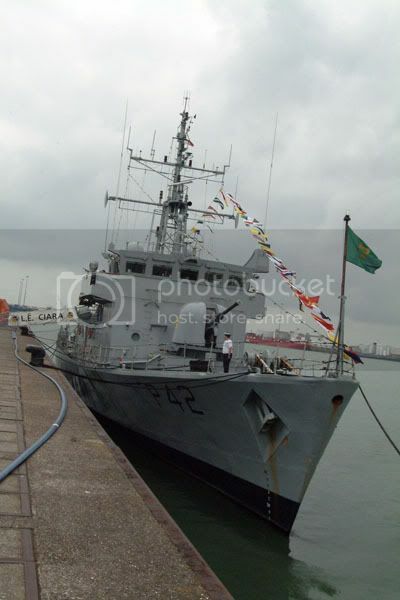 Eithne (P31) seen alongside in Belfast at the recent Belfast Maritime Festival on 28/06/08. 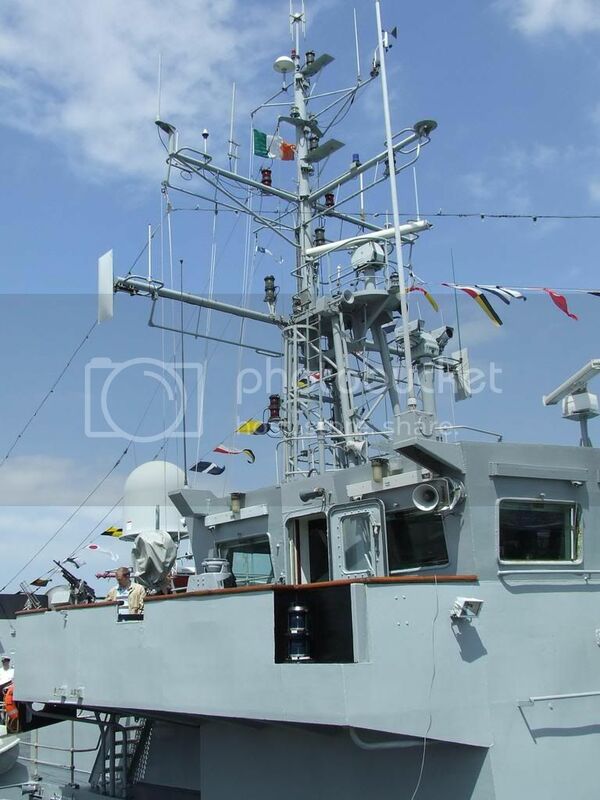 Good Luck and Bon Voyage to the ships company of LE Niamh who will be departing for a 12 week deployment to South America in very early may. I wish you all the best for the trip and really hope you enjoy the experience of a lifetime! "Irish Navy prepares to head south as tensions mount in the Falklands"
Why is the naval service sending a ship on a foreign trip when there arent enough ships to cover their areas of responsibility in Irish waters ? 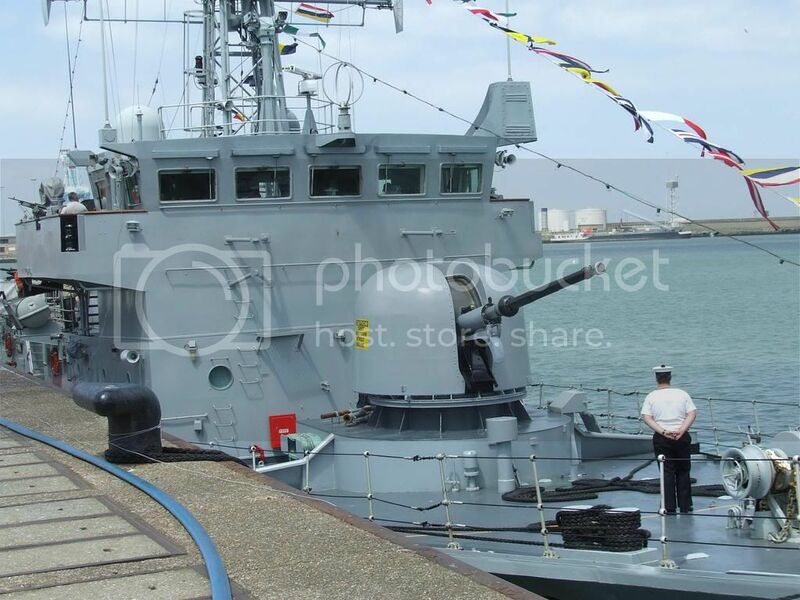 The foreign trips are as much a part of the Naval Role as fishery Protection, and provide a worthwhile platform for encouraging trade in the countries being visited by Irish Enterprise. Where did you hear of the latest trip South Rosser? I agree that flying the flag abroad is important for trade but it wasnt it announced in december that the number of patrolling days will be cut by 200 days ? Yes, but the foreign trips are carried out whether patrol days are 200 more, or 200 less. The foreign trips do not impact on normal patrol routine in any way. (you need to get the hang of the "quote" tabs). 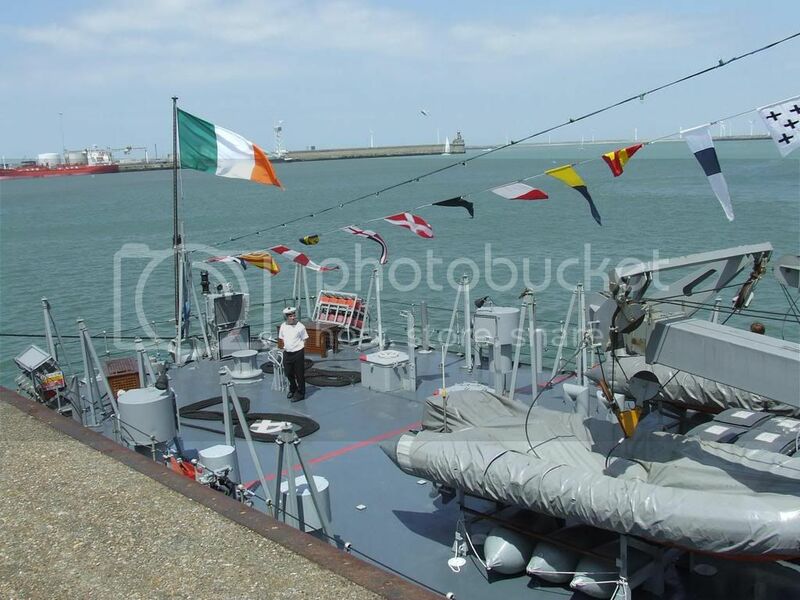 Naval vessels are an extension of irish Territory, consider them like a floating embassy. 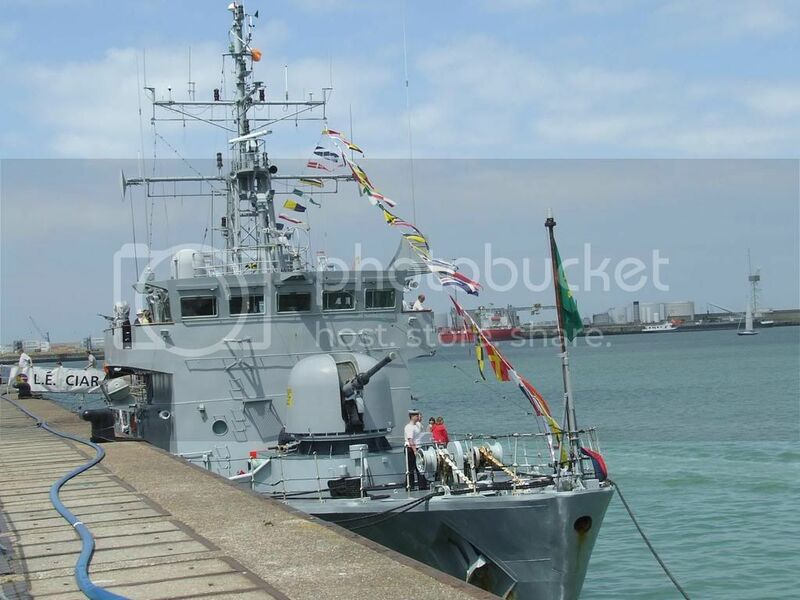 Historically there has always been a large population of people with Irish Heritage in South America, and having a focal point for them goes a long way towards increasing the Profile of the Naval Service, and more importantly, the State, overseas. As for how long... I think it took Eithne 6 weeks last time, But it all depends where exactly they plan on visiting this time. Why not cancel the overseas resources and put them into fisheries and drug interdiction ? Because the overseas trips generate revenue for the state, in real terms, by way of the Investment encouraged through use of the Vessel as a floating trade stand for Ireland. It is safe to say that the trip to Asia by L.E Niamh, resulted in much investment from there in Irish Industry. 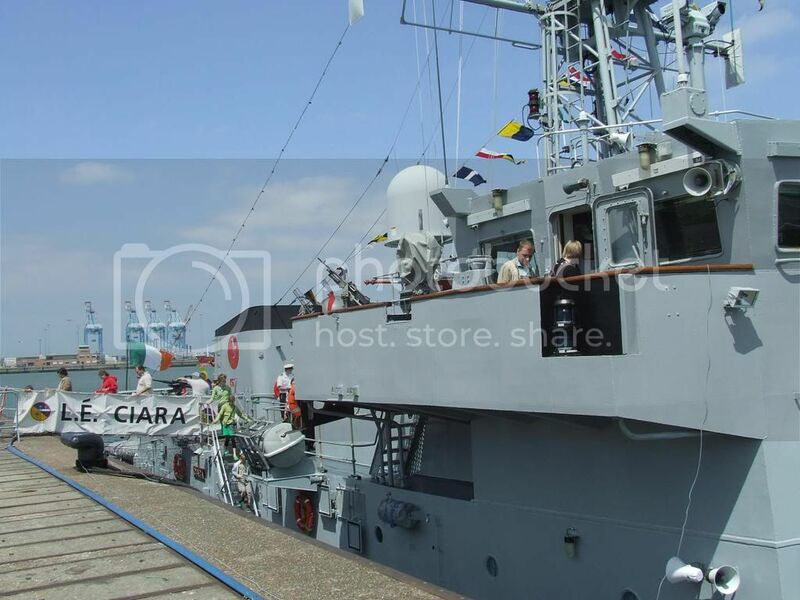 Equally, the trip by Eithne to South America raised the Profile of Irelands capability in the area of Humanitarian relief, with the Crew of the vessel being involved in numerous projects along the way. Indeed, one could say that the foreign trips are as useful in drug interdiction as patrolling, as it gives our Navy a chance to meet with the Authorities in the countries of source, who in turn can familiarise us with the latest tactics employed by the druglords. So while the naval service is losing one of its ships on a trip and is down 200 patrol days , you really think its putting resources where theyre needed ? Last edited by knocker; 24th February 2010 at 19:42. Yes. I have explained why clearly. I don't wish to repeat myself. It is not minus any ships, to my knowledge. One normally involved in Fisheries protection will now be engaged in other duties. 200 days less a year isn't much in the scheme of things. 1600+ days was already being achieved for the last few years. All it means is that the crews will get 25 more days a year to spend with their families. Is that such a bad thing?